Indian corporate sector has awakened to Hima Das’s talent. 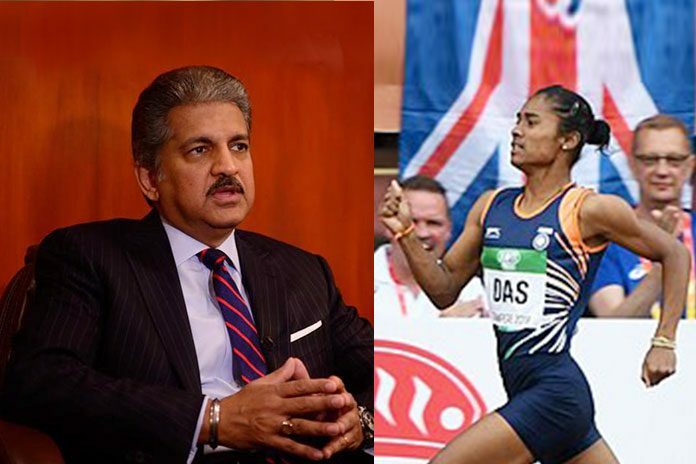 A day after Assam Government’s announcement to appoint Hima Das as the sports brand ambassador for the State, Mahindra Group chairman Anand Mahindra has offered financial support to the Indian sprinter Hima Das in her quest to the Olympic glory. The Indian business tycoon has publicly pledged his support to Hima Das in a tweeted message that he was ready to contribute financially so that Hima, the first Indian to win a gold medal at the IAAF World Under-20 Athletics Championships, could get the right training. “Now all of us want to see @HimaDas8 on the Olympic podium. I know that you both @Ra_THORe @Adille1 have the expertise & passion to provide her the right training programme, but if there is a need for financial support beyond Govt. resources I am happy to contribute..,” he tweeted. The business tycoon, Mahindra also credited and acknowledged Rajyavardhan Rathore, Youth Affairs and Sports Minister and Athletics Federation of India President Adille Sumariwalla in the tweet stating the duo can are capable of providing the right training for the sprinter. This is not the first time that Anand Mahindra has come out in the social media in support of the sprinter. Mahindra, who is quite active on Twitter, had earlier tweeted “If this doesn’t move you, nothing will…,” along with the video of Hima Das receiving gold medal at the podium. 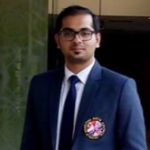 He had also stated in social media that the win may be a symbol to India’s emergence into international sports arena, similar to the Chinese rise few decades ago due to state intervention. Earlier on Monday, Assam Government has announced the young athlete Hima as the State’s brand ambassador for sports. Chief Minister Sarbananda Sonowal has announced that the Government will organise a State-level felicitation ceremony to honour her for the prolific achievements. Sonowal has also announced that a cash reward will be given to Hima Das for bringing laurels to the State by winning India’s first ever track gold at a global event. The 18-year-old Hima has won Gold in 400-metre final at the IAAF World U20 Championships in Tampere, Finland. The Minister has said in a statement that the Assamese youngster has achieved a rare feat by becoming the first Indian athlete to win gold in such a prestigious track event and she needs to be duly rewarded for her historic achievement.